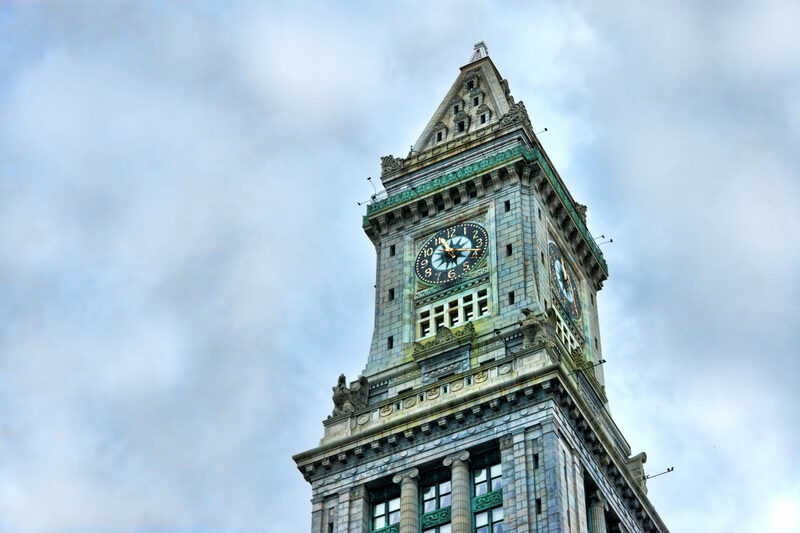 The Custom House clock tower may be the most recognizable element of Boston’s skyline, but it’s more than just a pretty face. In fact, the building is an architectural icon that’s intrinsically intertwined with the city’s storied history. 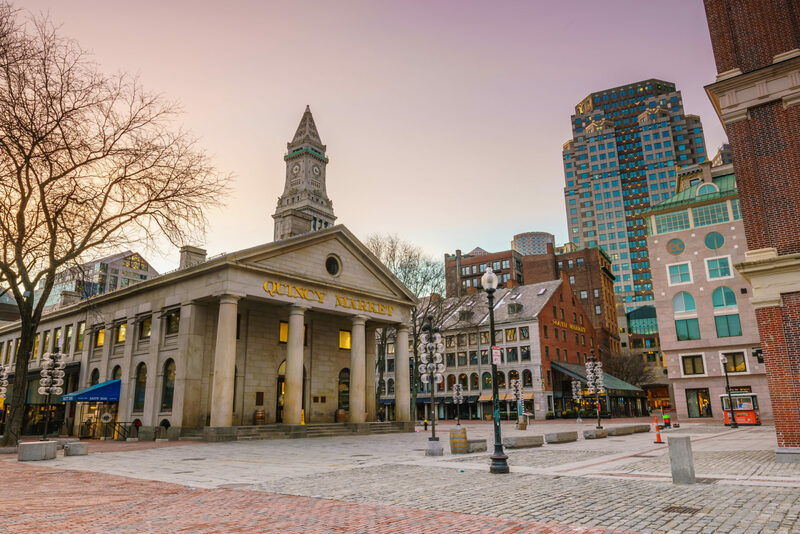 Now a treasured landmark, the structure has been beloved by locals for more than 150 years — from its beginnings as a 19th-century custom house next to Long Wharf, to its growth into Boston’s first skyscraper in 1915, to its transformation into a Marriott Vacation Club® property in 1997. And Marriott Vacation Club PulseSM at Custom House, Boston, is just as popular as the building that houses it — in fact, it’s currently ranked by TripAdvisor as the #1 place to stay in Boston. As I discovered when I recently visited, the property is a longtime favorite of Owners who return year after year. But as its status on TripAdvisor attests, more and more non-Owners are in on the secret. And the more I explored, the more I understood what makes the resort so special. When Marriott Vacation Club began leasing the Custom House 20 years ago, the interior had fallen into a state of disrepair. The company painstakingly refurbished and restored the building, seamlessly incorporating amenities into the historic setting. Now, guests eat breakfast in the Counting Room Lounge — the room where soldiers stood guard as tariff revenues were calculated. A great seal-adorned dome — which used to be a skylight before the 1915 addition of the tower — arches over the lobby. And the second-floor landing displays nautical themed art and artifacts that reflect the city’s longstanding connection to the sea. 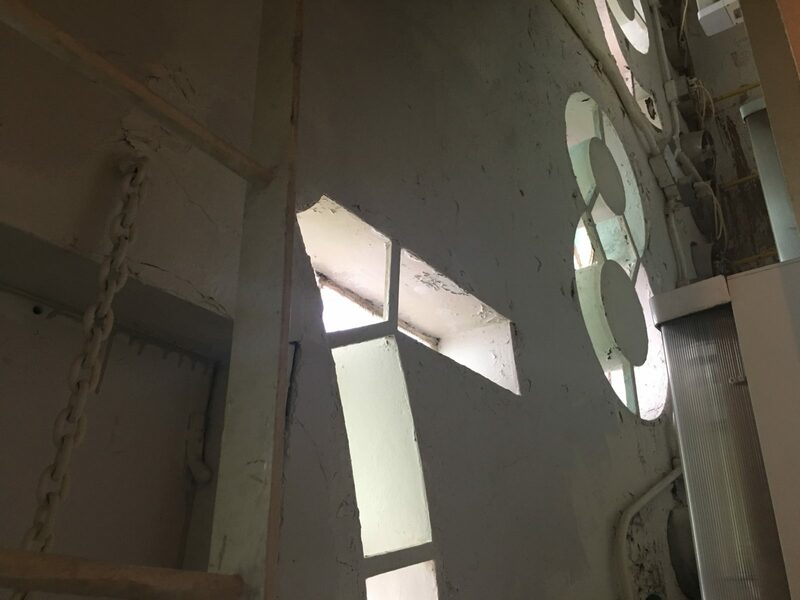 One of my favorite spots was the game room, where guests can watch the mechanism that powers the tower’s famous clock — and even peek out at the city through the numbers of one of the clock’s four faces. It’s the knowledgeable and passionate associates, though, who really bring the property to life. During my visit, I tagged along on a resort tour led by Diane, the activities and events manager. She schedules the tour on Saturday mornings to help newly checked-in guests familiarize themselves with the property — both its amenities and its fascinating history. As we explored, Diane spoke in-depth about the building’s past and the special place it holds in locals’ hearts. In fact, many Owners are from the Boston area. Eventually, our small group made our way up to the crown jewel of the resort — the 26th floor observation deck, which offers panoramic views in every direction. It’s hard to imagine finding a better place to watch the sun rise over the harbor or set over the city. One unique part of Custom House history we didn’t get to see: the building’s famous peregrine falcons, who nest in an alcove at the very top of the tower and will occasionally swoop around the observation deck. Since 1987, Mass Audubon researchers have retrieved the falcon chicks once a year in order to band them — and in recent years, lucky resort guests have gotten to watch and learn about the process. As for the rest of us, we can always watch the birds via webcam. 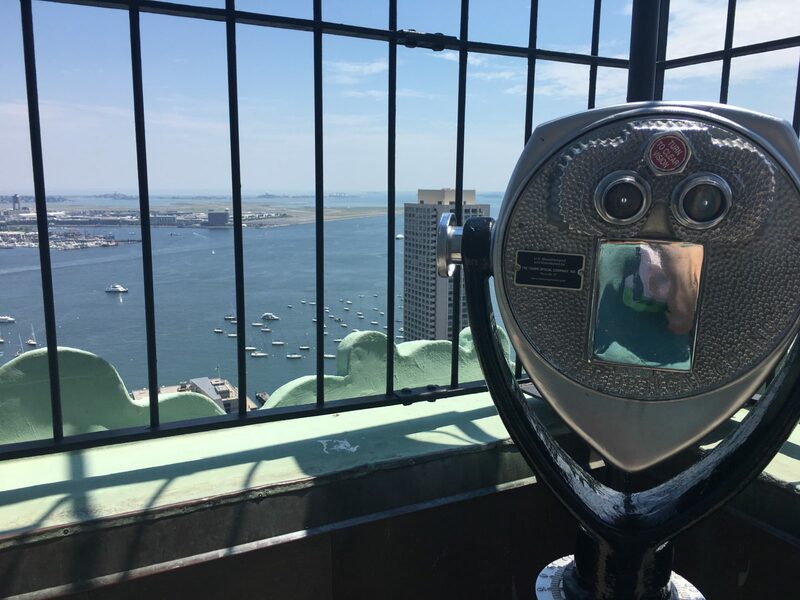 As much as the resort associates love guiding guests through the building’s history, they’re also eager to help visitors explore the vibrant city right outside their door. 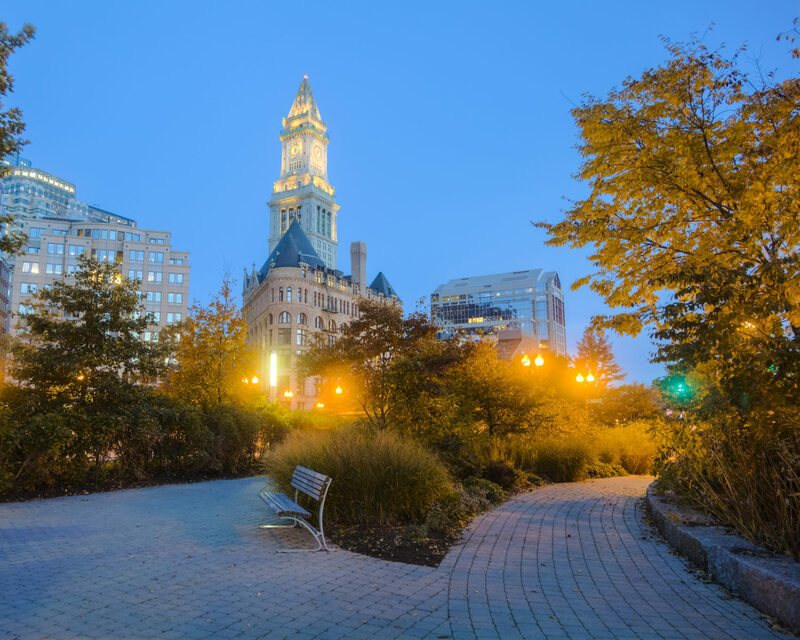 Rising from McKinley Square in the financial district, the Custom House tower is a short walk from attractions like Faneuil Hall Marketplace and the Boston Aquarium. 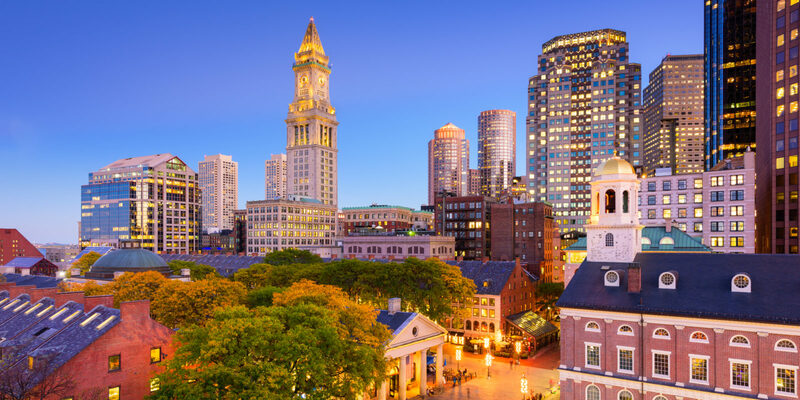 But it’s the location in the heart of Boston that truly allows the property to embrace the mission of Marriott Vacation Club PulseSM — to help guests immerse themselves in the city, while bringing the local flavor into the property itself. 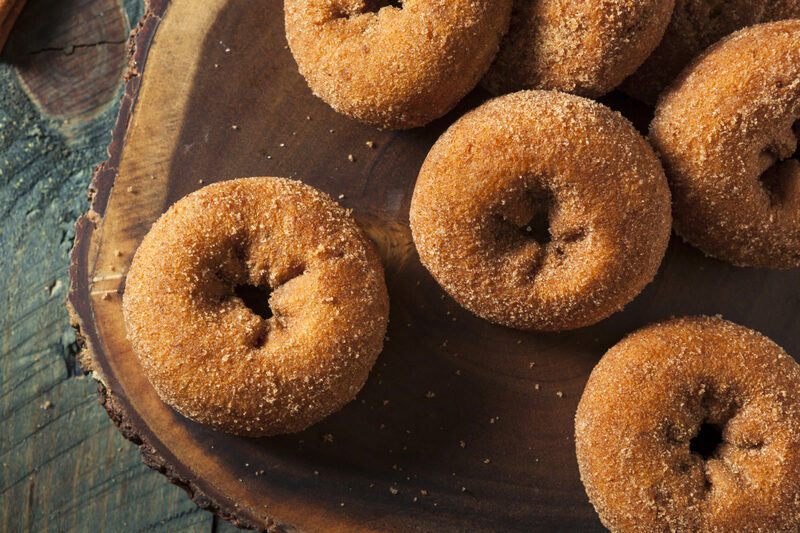 It’s evident with perks such as the “Delighter’s Cart” stationed in the lobby, which offers guests snacks such as mini cider donuts from local purveyor Red Apple Farm. And then there’s the weekly “cannoli challenge” that features the signature treat from three bakeries, pitted against each other in a blind taste test — unsurprisingly, this crowd-pleasing activity requires reservations. While in town, I also joined several of the resort-organized walking tours, which were led by Diane and Rachel, another activities associate. The tours were leisurely and flexible, allowing guests to branch off and further explore a certain area, or make a mental note of places they may want to return to later. I could see why these tours have become so popular with guests — they provide a budget-friendly way to immerse yourself in the city while accompanied by a knowledge guide. And they’re just one way the staff here goes above and beyond to enhance the guest experience. 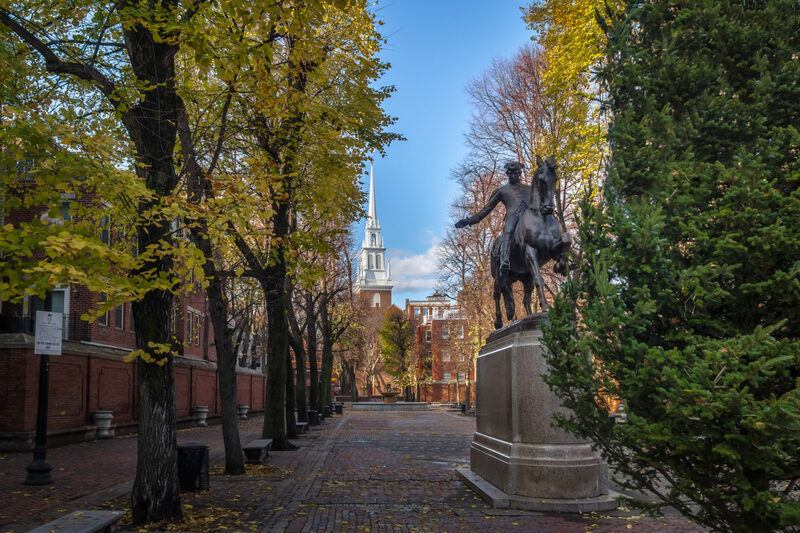 During one of the walking tours, an excursion to the North End led by Diane, we stopped at Captain Jackson’s Historic Chocolate Shop and the Printing Office of Edes and Gill. The name’s a mouthful for such a small, quaint shop, but it’s an interesting slice of history brought to life. Employees dressed in colonial garb welcome guests and give engaging demonstrations on old-fashioned chocolate making and the printing press. Usually people walk right past the building on their way to North End Church, Diane told me. But she likes to add lesser-known stops like this to the tour as a way of further enhancing the guests’ experience. Another day, I took several tours with Rachel, including a market tour through the historic Quincy Market, the bustling weekly Haymarket, and my favorite — the Boston Public Market, a collection of 40 locally sourced vendors selling everything from fresh fish to flowers (and more of those mini cider donuts). 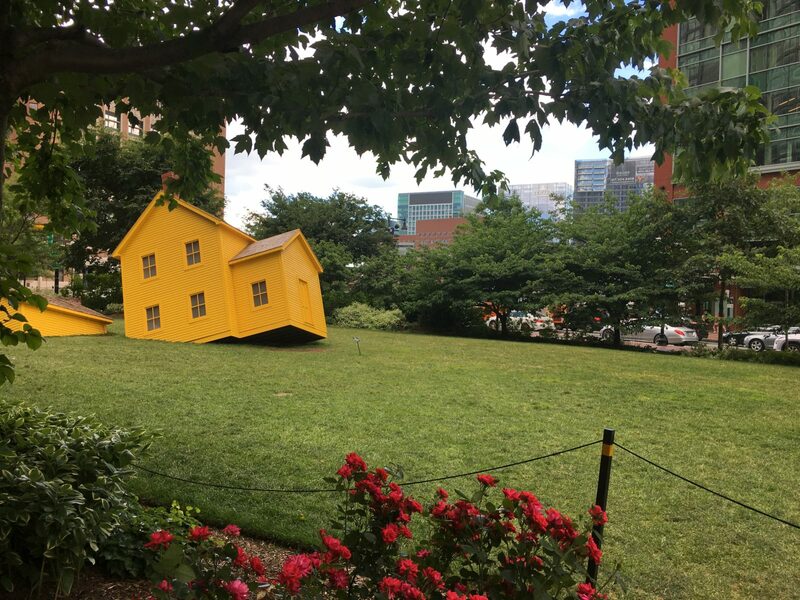 Later that afternoon, Rachel led another tour through the Rose Kennedy Greenway, an enchanting 1.5-mile chain of parks that meanders from the North End to Chinatown. This was my favorite walk — each segment of the park was delightfully unique. The resort’s history and activities wouldn’t be nearly as engaging if it weren’t for the associates who work hard to bring it all to life. Their excitement and energy — and obvious affection for the property — create a welcoming community for new and returning guests alike. “We really get to know people during the week,” Diane said, noting that the walking tours and other resort activities allow them to interact regularly with guests and really get to know them during the week. In fact, the first time I stepped into the lobby — on check-out day, the week’s busiest — I watched in awe as the staff deftly jumped from one family to another, interacting with everyone as if they’d known them for years. And in some cases, they have. For the concierge-in-chief, Karen, creating long-term bonds with guests is one of her favorite parts of the job. She’s a bit of a legend around here, having spent two decades helping guests make the most of their resort stay. She remembers the Owner families who return year after year, singing songs with the kids and giving them little mementos to take home with them. “The world comes to my desk, and I get to see kids grow up!” she told me, her enthusiasm as invigorating as an early morning cup of coffee. Every associate I encountered shared Karen’s sunny attitude, so it’s no wonder the guests take note. Before one of the walking tours, I introduced myself to the group and explained that I was there to write about what makes the resort so extraordinary. Seconds later, one of the guests leaned toward me. So while the resort’s iconic clock tower serves as the symbolic heart of downtown Boston, I realized that it’s the associates here who are the true pulse of the property. Thanks to them, Owners and guests enjoy a one-of-a-kind vacation experience that perfectly balances an appreciation of the past’s rich heritage with exploration of the city’s modern treasures. THIS ADVERTISING MATERIAL IS BEING USED FOR THE PURPOSE OF SOLICITING THE SALE OF TIMESHARE PERIODS. ANY NAMES AND ADDRESSES ACQUIRED WILL BE USED FOR THE PURPOSE OF SOLICITING THE SALE OF TIMESHARE PERIODS. Resort is available through the MVC Exchange Company only. Bethany is a managing editor for Marriott Vacation Club International in Orlando, Florida.